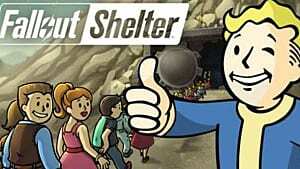 The Fallout series is well known for its massive worlds, complex characters, and deep customization. 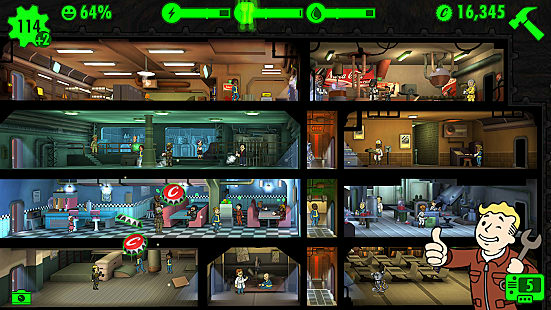 Thanks to the Fallout Shelter mobile game, fans are able to take part in the experience wherever they go. With the 1.4 update, players are now able to craft weapons and armor -- similar to how they were able to in the previous Fallout games. This is an important addition, allowing you to make weapons that were previously either inaccessible or incredibly difficult to find. Now, let's get into what exactly you have to do. 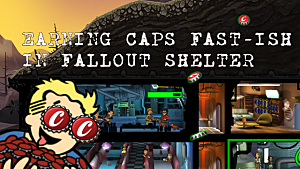 In order to craft anything in Fallout Shelter, you need to first build a workshop. 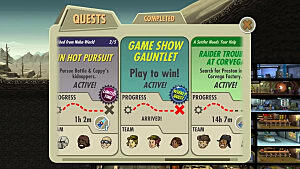 Workshops can be made by opening up a vault and clicking on the hammer icon in the top-right corner of the screen. From there, you will be able to access the Weapons Workshop and Outfit Workshop. The Weapons Workshop requires at least 22 Dwellers and the Outfit Workshop needs at least 32. For both workshops, you will need 1200 caps. Once your workshop has been made, drag a Dweller onto the workshop. The game will provide some initial crafting recipes and spare junk, but you will need to find your own in the future if you want to craft more items. Recipes can be found in many places, including the Wastelands and dead raiders. Junk can also be found while exploring the Wasteland, and traveling farther out may yield even better results. Lunchboxes can be another way of gathering junk; each Lunchbox contains five cards and may include junk as one of the cards. Lunchboxes can be earned from completing objectives, in-game purchases, or as rewards from quests. Raiders can sometimes hold legendary recipes, so be on the lookout! Tap on the crafting room itself, and a wrench will appear on the bottom of the screen. This will allow you to see what items can be crafted. Once you decide on what you want to make, simply tap it and the Dweller will get started crafting. 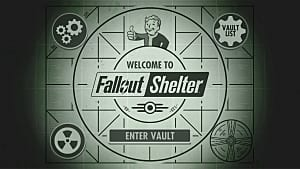 If you find that you aren't satisfied with how long it takes weapons or armor to be crafted, add more Dwellers to the crafting room. 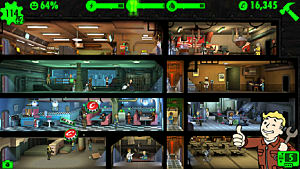 Additionally, you can assign dwellers to the workshop with the correct SPECIAL trait. 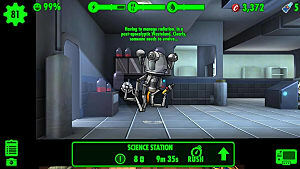 Simply drag a Dweller over the workshop to see what traits they have and what they would contribute to the workshop. Matching a weapon/outfit's stat with the stat of another Dweller is a great way to make the crafting process more efficient. 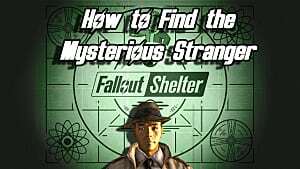 With these tips in mind, you'll be well on your way to crafting some of your favorite items from the Fallout games in Fallout Shelter. Be sure to be on the lookout for what raiders are carrying, as they can sometimes be holding recipes for legendary items!